Happy Halloween from Sublux! It is a special time of year. All Hallows’ Eve is upon us and the ghouls are out to play. The transition from October to November is important to Pagans, Christians, and especially skiers. The month of November is, for most, the start of something new and fresh, skiing at our local hills. At Sublux, this is a particularly exciting time of year. 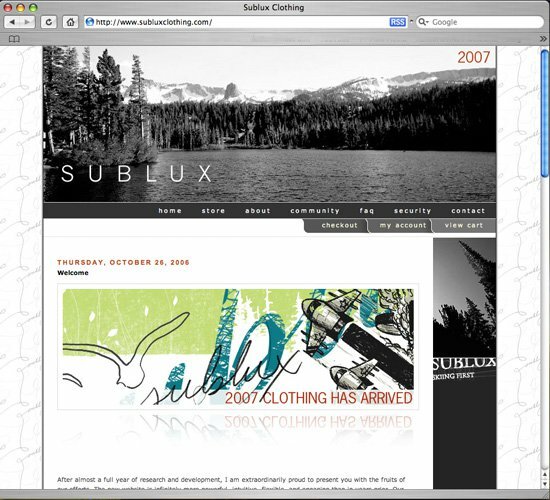 We proudly present our 2007 clothing line and website. The website is totally redesigned from the ground up, with a clean, appealing design thanks to our talented artists and a powerful, intuitive shopping experience, thanks to endless hours of coding. The clothing itself is totally re-thought. This summer, we invested in the equipment to create each piece ourselves. Producing independently allows us to do something you don’t see often enough: raise quality while lowering prices. It is time to let the website do the talking. 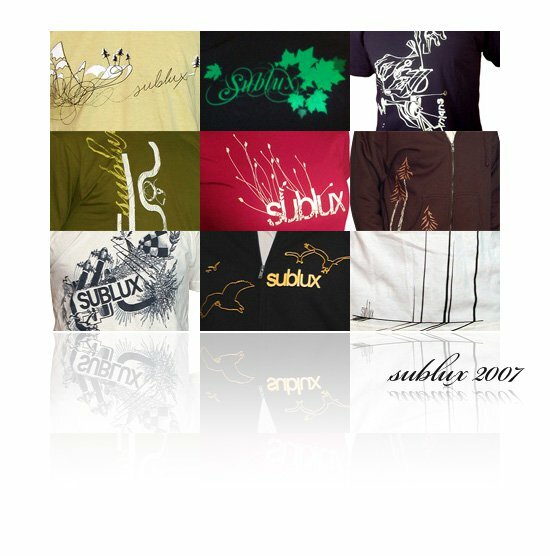 Please visit http://www.subluxclothing.com to see what we have to share.